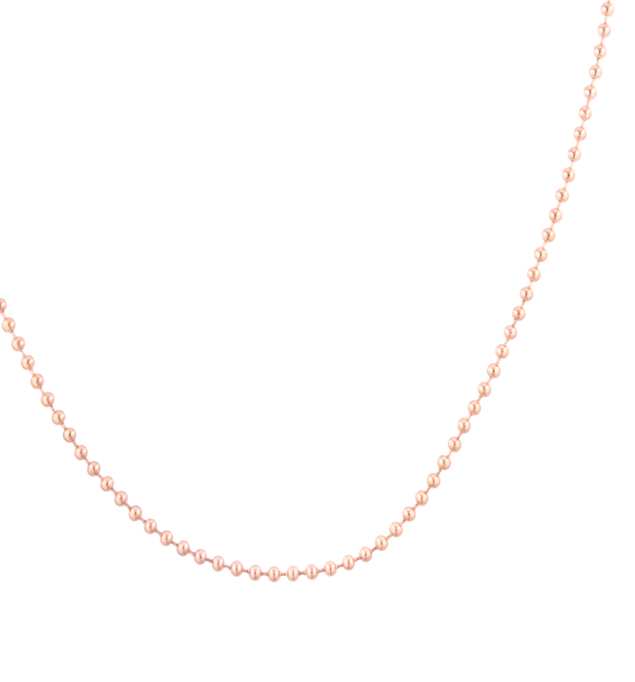 Replacement rose gold tone plated stainless steel ball chain necklace. This necklace is typically sold with our Rose Gold Tone Filigree Dog Tag Necklace. The chain is 23 inches long.